The Ovalau Rugby Union re­ceived a timely boost ahead of the first round of the 2018 Vodafone Vanua Championships which kicks off tomorrow. Pacific Fishing Company Limited (PAFCO) presented a cheque of $2500 to Ovalau Rugby Union chair­man Luke Vateitei yesterday. Making the presentation were PAFCO human resources manager Kelera Ratinaisiwa and financial controller Arvind Chand. Ovalau play Tailevu 3pm Saturday at Nasau Park, Levuka. Ratinaisiwa said the donation is part of their involvement in nation building. “Contribution by PAFCO demon­strates the ongoing commitment of the company in the development of sports in Ovalau and commit­ment to the community in nation building,”she said. Vateitei was grateful for the assis­tance. “We applaud the generous assis­tance from PAFCO,”he said. 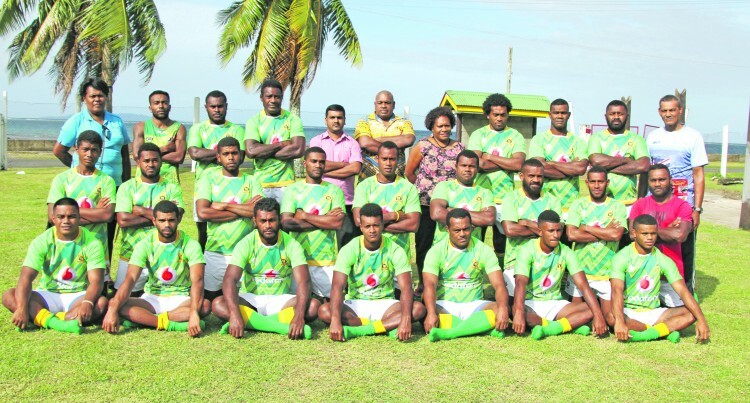 “We want to be part of the Skip­per Cup Premiership again and the journey starts on Saturday against Tailevu. “Our plan is to be back in the Skip­per competition in two years and that is why we are placing empha­sis on Under-20 team. “We beat Tailevu in both grades last year and they would be out to make amend s on Saturday.